I got a few questions about my 50 page paper so I thought I would give you a “light” overview of it. It’s basically a culmination of all my education classes together, presetudent teaching information. I have to provide worksheets I’ve created, my interests in math, my career at college, anything and everything about math and education. Basically why I want to be a math teacher. I don’t want to be a math teacher. This would be extremely useful for later if I did, but seeing as it is 50% (yes ½ of my entire grade in the class) I still need to do it because failing the class isn’t really my jive.. I chose to change my major so I’m not complaining. Besides-it’s not awful, it’s not like I’m writing a 50 page proof. Dear God help me now. I’m doing that too. My homework for advanced calculus is one problem. This is ½ of it. I forgot this class earned me the writing intensive gen ed credit. Not. So yes-I have been terribly busy and not okay with it. But enough complaining only one more week of classes. But back to my last couple of days. 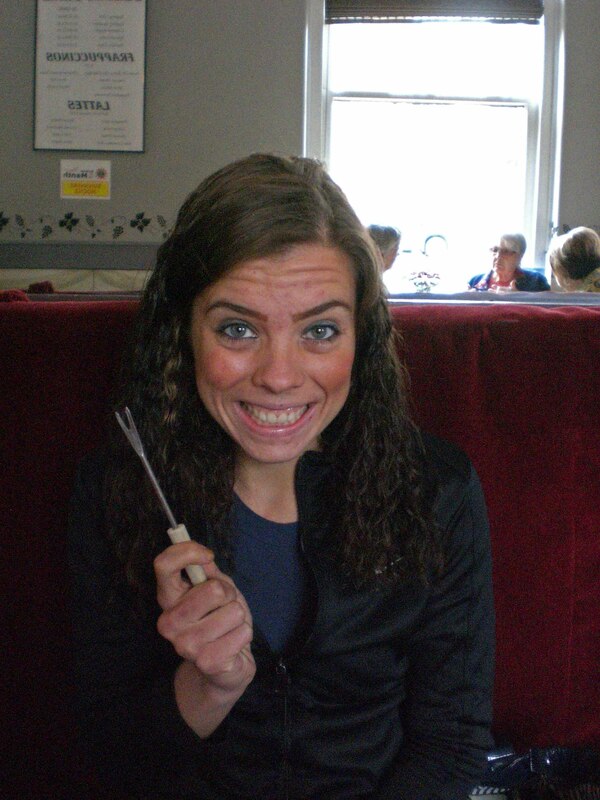 I have really been into my inner foodie by eating on campus and preparing decently photogenic meals…. 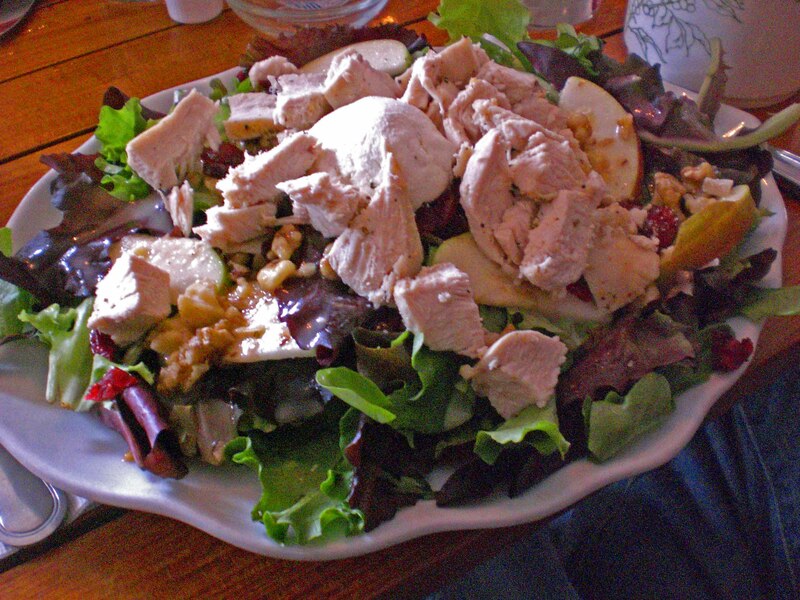 “Adirondack Salad”=Greens, cranberries, walnuts, goat cheese, chicken breast salad. I made the greatest chocolate waffle this morning, or at least it was 10:00am and I don’t know the last time I have eaten past 8:00am so I think I was just starving. I’m not savvy enough to stuff my own mushrooms so I bought them at the local supermarket. I love stuffed mushrooms and all kinds of mushrooms actually. Speaking of the supermarket, yesterday I went and saved 12 dollars on a 35 dollar purchase. Seriously-I felt like an extreme couponer…minus I just looked for instore deals and had one coupon. In fact, I got a giant package of bacon (for spinach bacon waffles) for 79 cents. But they were out of kale. ugh. Yesterday, I decided that I was going to skip the Arctrainer. Don’t be too shocked! I was just completely not in the mood at all. I kept telling myself it was okay but it was kinda in the back of my mind. Skipping a workout, my endurance is done, I’ll never run quickly again, blah blah blah. But then this morning I ran. 7.3 miles at nearly a 7 minute pace. So I’m not devastated anymore..not that I really was yesterday. Take your rest days. Your legs will love you for it. 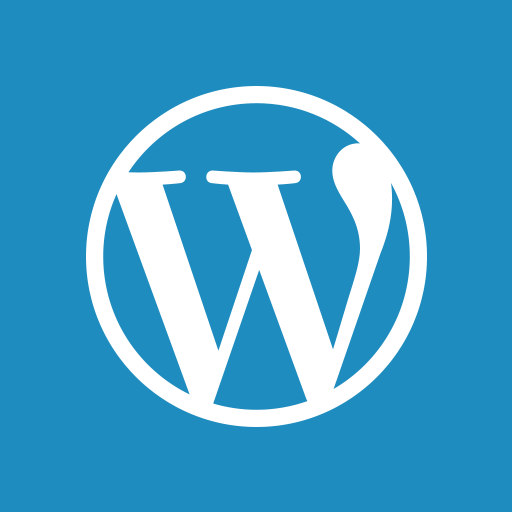 PS: Get your Q’s in for my next FAQ post. If you have any…I don’t have too many secrets. Are you a big couponer? I love this title. Calculus and food are two of my favorite things. 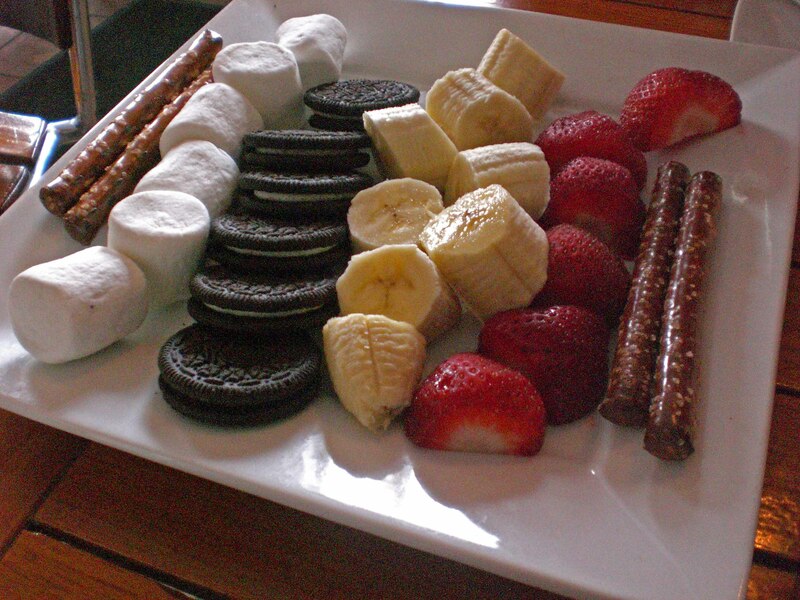 I’ve never seen oreos at fondue before but it’s a brilliant idea. That fondue. All those dipper things. We already are BFFs in my mind at least so can I join you pretty please?!?! I believe you on that being one problem. I took two semesters of calc in college and that was enough for me. To this day I think I’m the only professional writer who has taken integral calculus, haha. Good luck with the paper, and I guess just think about how math education will be all over for you soon :). Yes, we are friends, I love fondue! I really need to work on taking rest days. They cause me so much anxiety when I do, but you are completely right, your legs will thank you for it and have a fabulous workout after…like you did with that run! Mmm stuffed mushrooms! I love mushrooms. I’d love to use more coupons, but it’s just too much time to search for and use them all. Most of the time coupons are for processed, packaged food that I don’t buy, so it’s not much help. If there were coupons for produce, I’d be all over that. Agreed! I hate that there are never very many coupons for produce! That’s quite the homework problem! Haha. Kale is so trendy the stores keep running out. Dude that math problem is just wrong. Just. Plain. Wrong. I would love to become a better couponer….but I get too lazy sometimes and I have trouble finding ones for stuff I buy! I wish there were coupons for produce! That would be FAB! I’m such an extreme couponer. I cut out coupons every Sunday from the newspaper. I actually look forward to it. Mmm mushrooms are the bomb! Fondue = Heaven! I went to the melting pot for my birthday a few years ago and had a food baby that could have been sextuplets. I love coupons, but I usually end up buying products that I wouldn’t usually buy because of them, which can be good or bad. 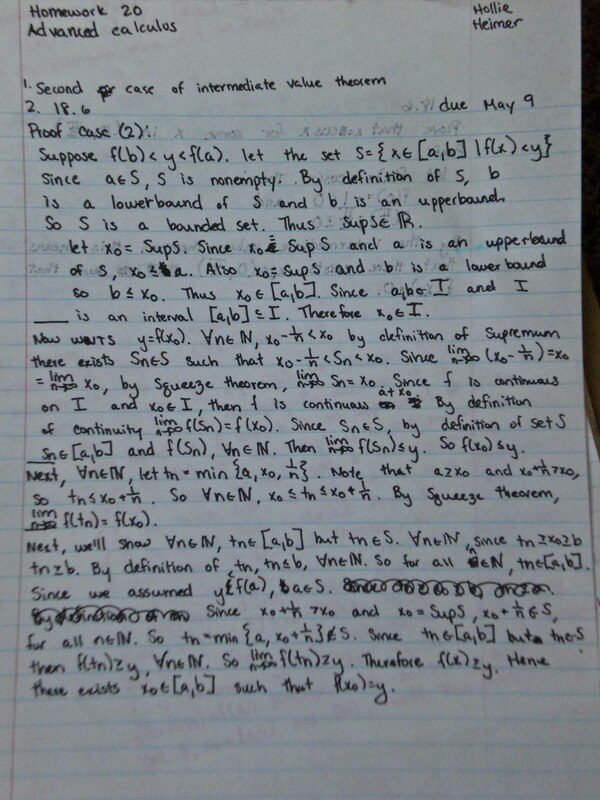 Oh calculus… that looks uh fun… Good luck with your paper and huge calc problem!! 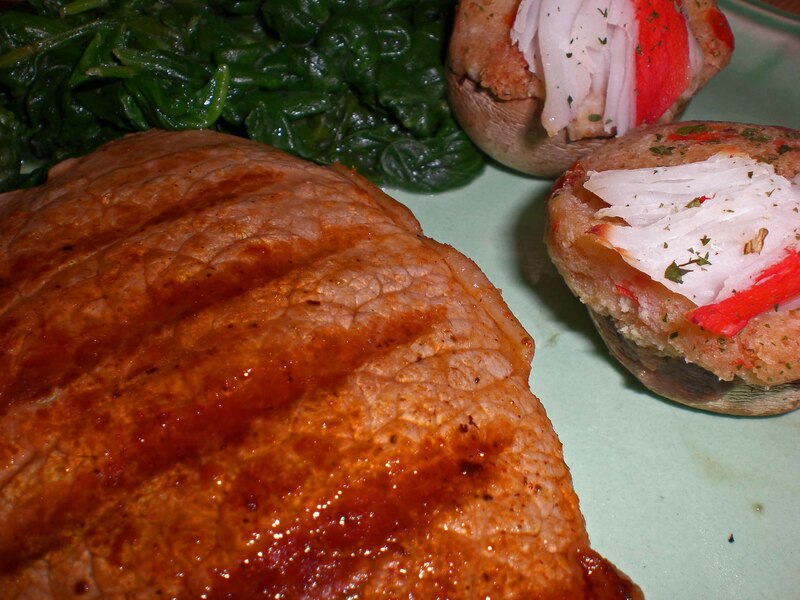 Your eats look amazing. I think I’m going to have to be trying some of your awesome waffles now that I’m home and have access to a waffle maker 🙂 and will have to convince my dad to make steak very soon its been WAY too long since I’ve had some good red meat. I’m trying to get into coupons but as silly as this sounds, my grocery store actually has pretty good sales, so I end up getting pretty good deals, just not with coupons. 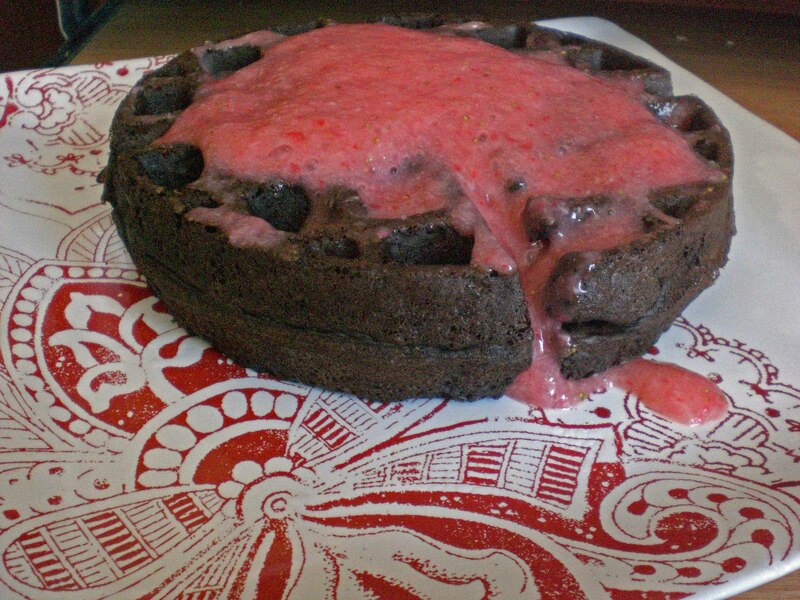 That choc waffle + strawberry “syrup” looks super good. I’ve never used chia. Perhaps I’ll have to give it a whirl. I want to make all the delicious noms you do. Way to go on the rest day! I took a ton this week and still beasted a workout today! That paper doesn’t look like any fun either… I don’t miss that stuff at all. I don’t like salads, but honestly, yours sounded really good haha. YAY for your over 7 miles in 7 minute mileage pace!! That’s like FREAKING fantastic!!! hehe your calc homework is seriously RIDIC! I would kill myself if I had that…I shouldn’t talk; i probably will someday! 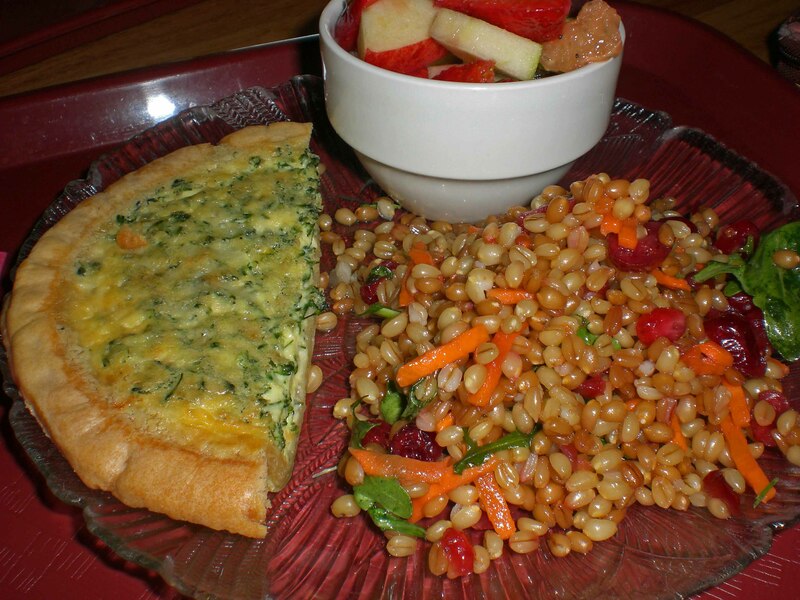 but the quiche looks mmmz and so does that waffle! give me the chocolate holla’!! happy mothers day!! I heart fondue WAY too much. And actually, I’ve been couponing a lot lately and it’s made a huge difference in our food budget. It’s definitely worth taking the time to do!